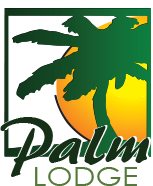 These Terms and Conditions (“the Terms and Conditions”) govern your (“the User”) use of the company (“Provider”) website located at the domain name www.palmlodgepe.co.za (“the Website”). By accessing and using the Website, the User agrees to be bound by the Terms and Conditions set out in this legal notice. The User may not access, display, use, download, and/or otherwise copy or distribute Content obtained on the website for marketing and other purposes without the consent of the Provider.